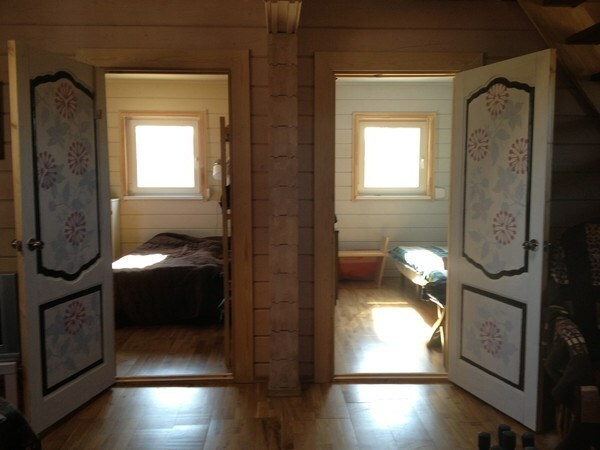 To decorate a house by your own forces is a very exciting and interesting. House interior becomes a unique and cozy. Decoration, made by your own forces, has a special energy and heat, and you can completely transform your house. Over time, house furnishings lose their luster and require updating. This also applies to doors in a room - they can crack, scratches, chips appear, making them a kind of messy. A front door is one of the most important in a house. 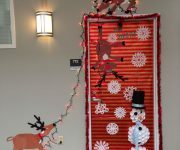 A door can be decorated outside and inside. 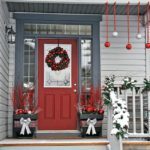 To decorate entrance doors you should choose those materials that are durable to moisture, temperature extremes. 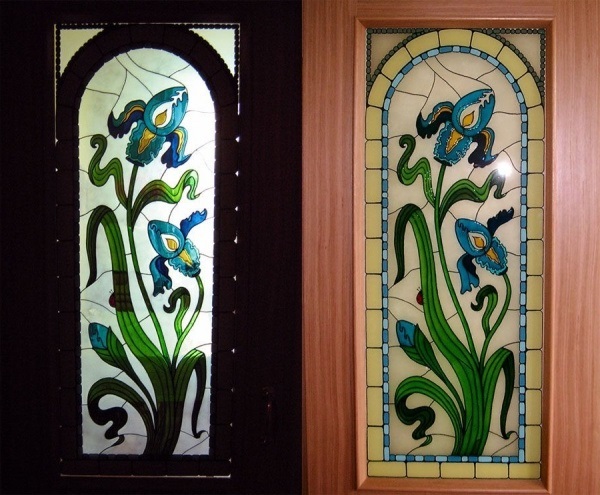 A decoupage technique is very suitable for the decoration of the entrance door. 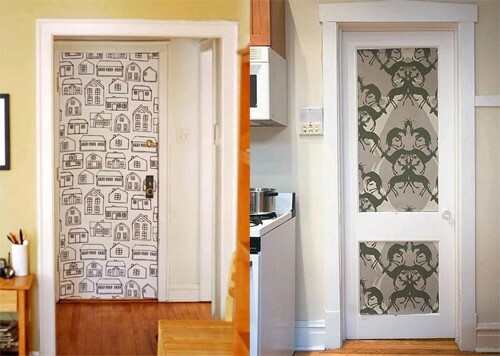 Decoupage of doors is a special technique of surface coating of ready-made drawings made from napkins or wallpapers, or using preprinted forms, bought in a special store. Decoupage of doors by your own forces is a fascinating process that develops creative imagination and recalls the creation of applications. 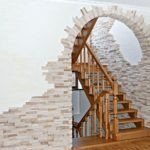 This known technique for the art of decoration is suitable not only for the restoration of old doors, but also helps to give a new door an exclusive and unique design. 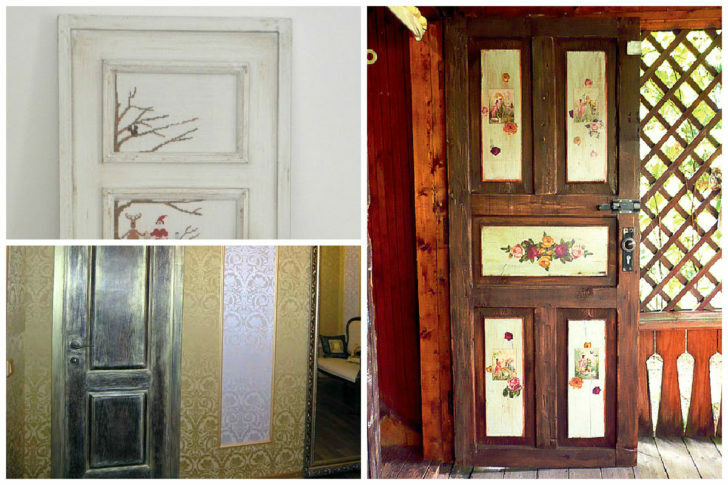 Beautifully executed decoupage of doors by your own forces can make an entrance to a house fabulous and unique. Decoupage of doors will take less time than ordinary painted doors, and a door will look much more spectacular. It is better to choose acrylic paints for decoupage. 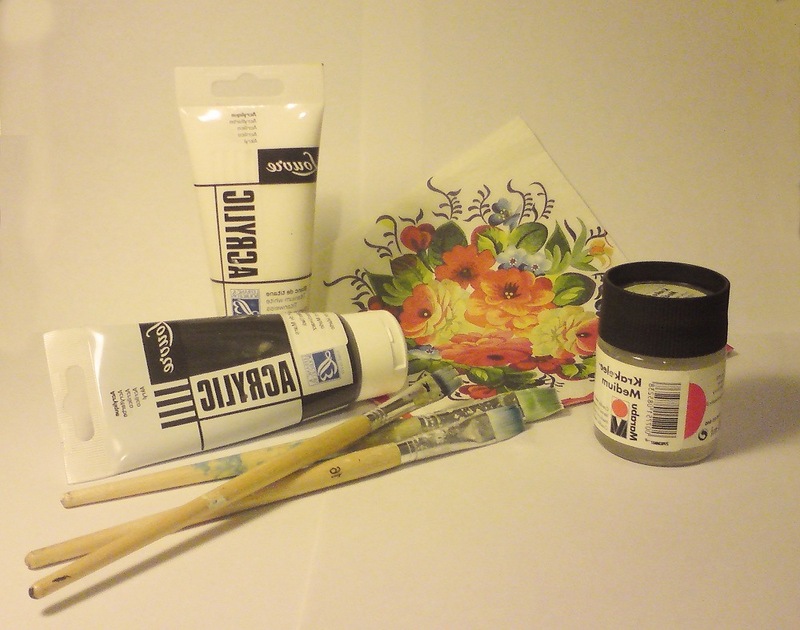 Acrylic paints are easy to use, quick drying and do not smell too strong. To give a specific texture to a surface, you can use various support tools - foam sponges, scouring pads or bast wisps. An old interior door can be replaced by a new model, but it is better to spend a little time and to renew and decorate it so that it will again look beautiful and elegant. Looking at the photos on the internet from home craftsmen, in which how to restore an old door by your own forces, you marvel a rich imagination and skill. 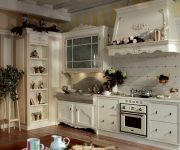 Anyone who wants comfort and beauty in his house, looking at these photos, also wants to create something like that. Stenciled staining of a door. 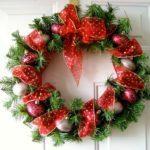 A very easy way for the spectacular and quick door decoration. 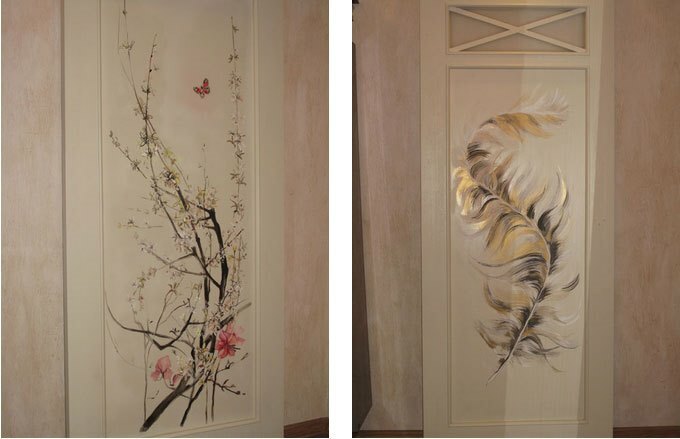 With the help of special stencils a door can be turned into a work of art. 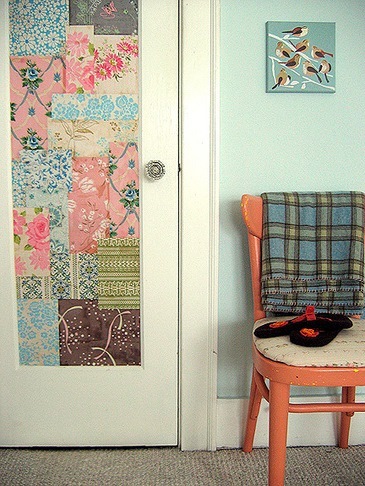 Stencils of various designs and patterns can be purchased at hardware stores, and can be done independently of cardboard. A selected stencil must be applied to a cleared surface of a door and covered with a paint of a desired color. To avoid streaks and blurring a stencil should fit tight to a door leaf. Art painting on a door leaf. 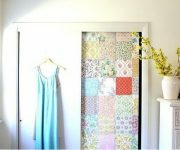 For this decorating you need artist skills to make a door look beautiful. But primitive and simple drawings can enliven a home environment and bring a new zest to an interior. You can draw children into such responsible work - children with special eagerness and imagination will paint their doors. Children's drawings are always good and bright, and perhaps they will be the best idea to decorate a door. 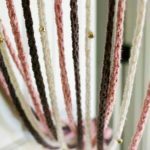 Decorating of a cloth. To decorate a door with a cloth is a great way to turn even the oldest door in a modern and beautiful detail of an interior. This door will look unusual and original. To make a door surface look smooth and beautiful, before decoration it is necessary to have a little preparation - to moisten and to dry cloth, thereby determining a degree of shrinkage. A prepared cloth section is glued with adhesive mixture (preferably casein glue) and is carefully leveled to a door leaf, using a spatula. Patchwork. It is very interesting and original way to decor by your own forces. 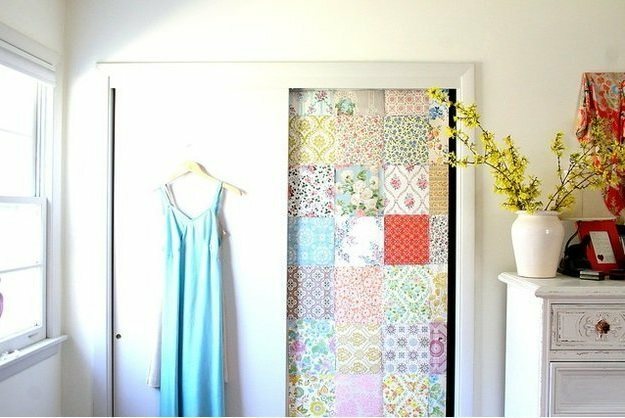 Bright scraps of a cloth, beautiful clippings from fashion magazines, interesting photos can be combined in an unusual ensemble that will brightly highlight a door in an interior design. 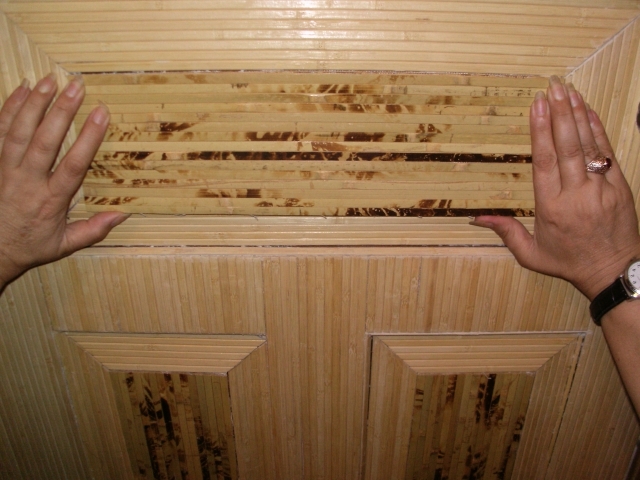 Pasting of doors with bamboo towels. This door will look very stylish and cozy. A natural bamboo leaf is eco-friendly and safe. As an added decoration you can hang small decorative frames on a door where you can insert interesting and funny pictures, family photos, beautiful pictures. For a harmonious visual perception on the advice of the designers, frames should be the same size, or you can make one large and several small frames.